Featuring a classic H-shaped plan and minimalist details, the Winston was designed with the modern family in mind. This home carefully balances a sleek and uniform façade with more contemporary elements. 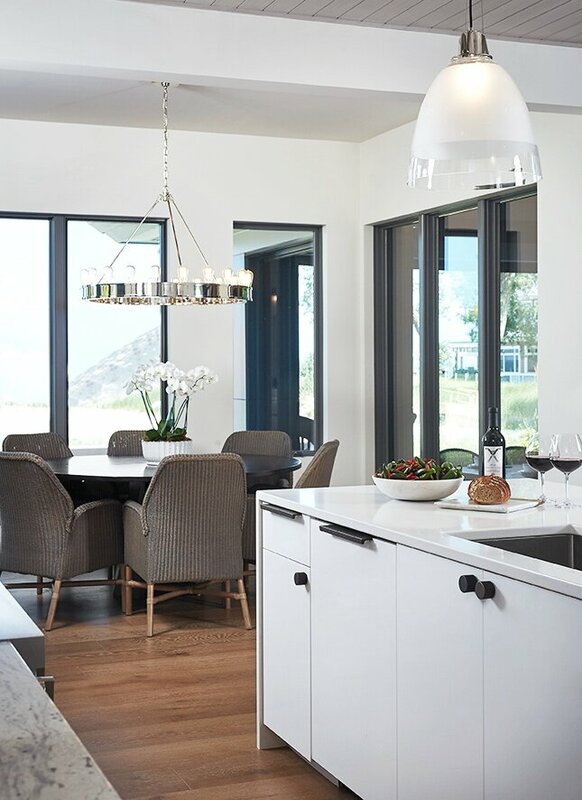 Stepping through a pair of natural wood entry doors gives way to sweeping vistas through the living and dining rooms. Anchoring the left side of the main level is a large white kitchen island and tiled glass backsplash. 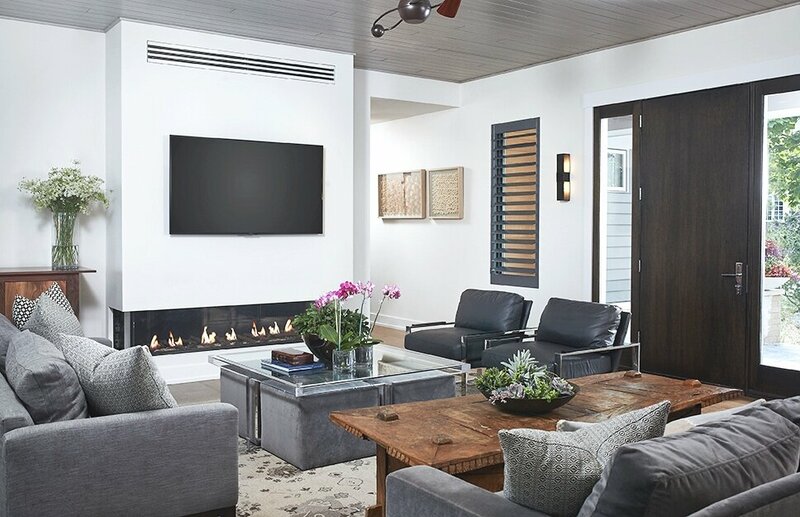 To the right, and behind the living rooms sleek fireplace, is a vertical corridor that grants access to the upper level bedrooms, main level master suite, and lower level spaces. Serving as backdrop to this vertical corridor is a floor to ceiling glass display room for a sizeable wine collection. Set three steps down from the living room and through an articulating glass wall, the screened porch is enclosed by a retractable screen system that allows the room to be heated during cold nights. In all rooms, preferential treatment is given to maximize exposure to the rear yard, making this a perfect lakefront home.